Mthwakazi Republic Party has said the bells of Mthwakazi Restoration continue to Ring louder as Zifa President Philip Chiyangwa this week showed his imbecility character by ruling in favour of a Dembare player who head batted a Bosso player. MRP President Mqondisi Moyo said the recent decision taken by the so-called Zimbabwe International Football Association President Philiph Chiyangwa to reverse the decision of the qualified referee Arnold Ncube who has a better knowledge of football than Philiph Chiyangwa has indeed confirmed that its not all about soccer when one looks at Highlanders-Dynamos games, but it's all about politics and the continued implementation of the 1979 grand plan. "Many soccer followers have wondered why Philip Chiyangwa makes such questionable decisions on matters involving Bosso and Dembare. It is deliberately, as Philiph Chiyangwa exercise his power as Zifa President. Chiyangwa has been quoted saying "I know nothing about football if you want to know about football matters ask for Omega Sibanda my Vice President, he is the one with a better know how of football issues." This was indeed a confirmation that the ZIFA President's only mandate is only to destroy Ithimu Yezwe lonke ,Ezikamagebhula," he said. "He is the same person who failed to reverse match rigging that was exhibited by Kusosa at Barbourfields stadium on 14 May 2017 in a match featuring Bosso and Dembare, and allowed the decision by the bogus referee to stand, instead he later influenced the disciplinary committee to make Bosso to pay a fine of $4000 and awarded Dembare 3 points on 3-0 scoreline." He said if indeed the decision by referee Arnold Ncube to give the Dynamos player a red card on Sunday was dubious why is the referee not penalized, Chiyangwa did so because Arnold Ncube is of Ndebele origin yet he could not reverse the dubious decision by Kusosa in May because he was of Shona origin and they are both Dynamos supporters. "In case most of us have forgotten who is Philiph Chiyangwa, he is the man who destroyed G and D shoes Company in Bulawayo thereby paying workers with pair of shoes, he is the same person who destroyed ZESCO in Bulawayo a company which used to fix locomotive's for NRZ," he said. "He is the same person who was involved in the selling of the country information to Israeli thereby enriching himself. He is the same person who was involved in those scandals with the ENG saga between 2003 and 2006 with those Waytoka guys who would fly every weekend when ever Arsenal had games in UK. He is the same person who owned three of the expensive cars in Africa in 2003 and one of those cars was said to be only found in one of the Oil rich countries." "I remember Robert Mugabe using a Shona statement in describing Chiyangwa saying Ngumvundla weZikwakweni. One wonders that a president who is supposed to uphold justice would in fact promote injustices committed by Chiyangwa." "We are aware that Chiyangwa is following the foot steps of the bad influence of Mugabe of having so many positions. Chiyangwa is doing the same in football. Thus why he is dictating football on tribal basis." He said this is the same Philiph Chiyangwa who is understood to have bought Zifa councillors to vote for him as Zifa President. "He is the same Chiyangwa who is ZANU PF through his marrow and blood. 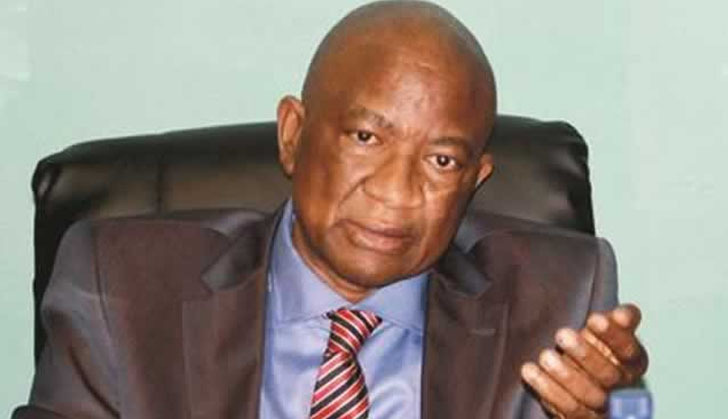 We are aware that Chiyangwa hate Bosso with passion and he is there to ensure that Bosso will be destroyed during his tenure, as he is aware that Bosso is now the only thing which is a rallying point for the people of Mthwakazi though of late MRP has been doing wonders and making strides in consolidating Mthwakazi nation," Moyo said. "Our dossier to the current madness from Chiyangwa is for the Bosso board of directors and Executive to pull out Bosso from the Zimbabwe Premier Soccer League and form their own league that will go along with the fight for the Mthwakazi restoration agenda like the leadership of Bosso in 1976 did." "It is now clear even to the doubting Thomases that Ndebeles and Shonas can't co- exist whether its in politics or football or in social life."